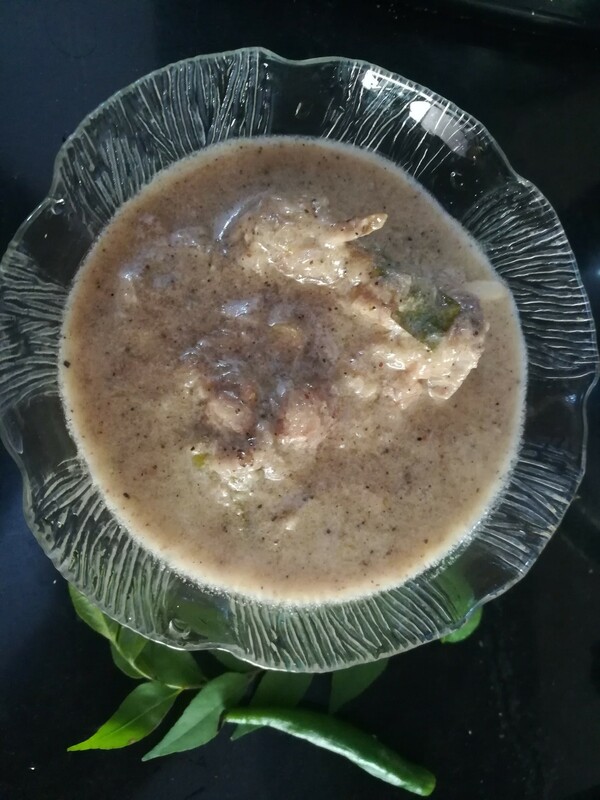 Kerala Mutton Stew – I think..
Stew or “ishtu” is a breakfast favourite in Kerala. Usually made with potatoes and carrot, these savoury side dish has the distinct taste of pepper and coconut milk. Stew is made with chicken or mutton as well, and goes well with puttu, noolpuutu, appam and neipathal among others. My mother made this for me last time she was here. Skin the shallots. 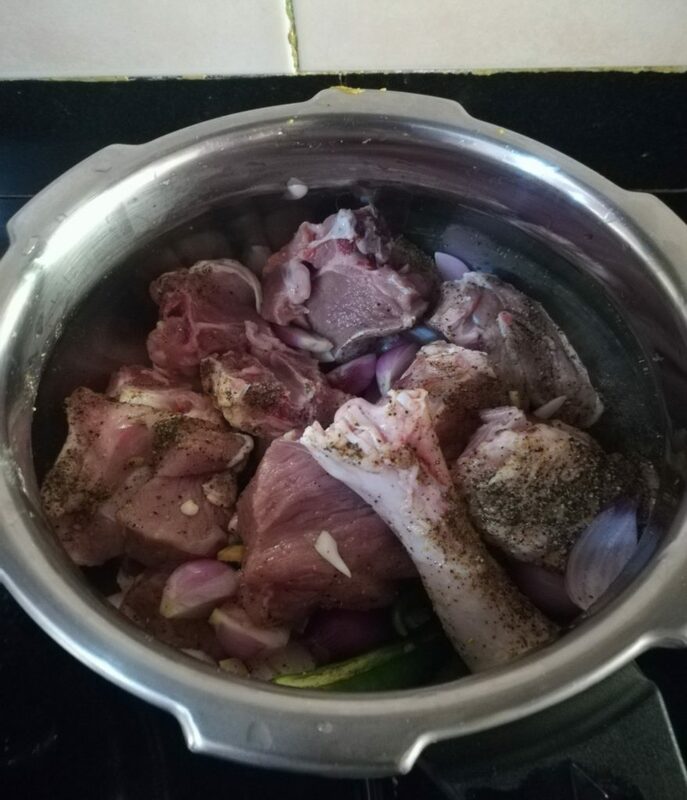 Wash the mutton well, and boil in a pressure cooker with the first four ingredients. Add just half a glass or less of water, as you will see sufficient water to cook will be there in the meat itself. You might need 6 to 7 whistles to get it well cooked. 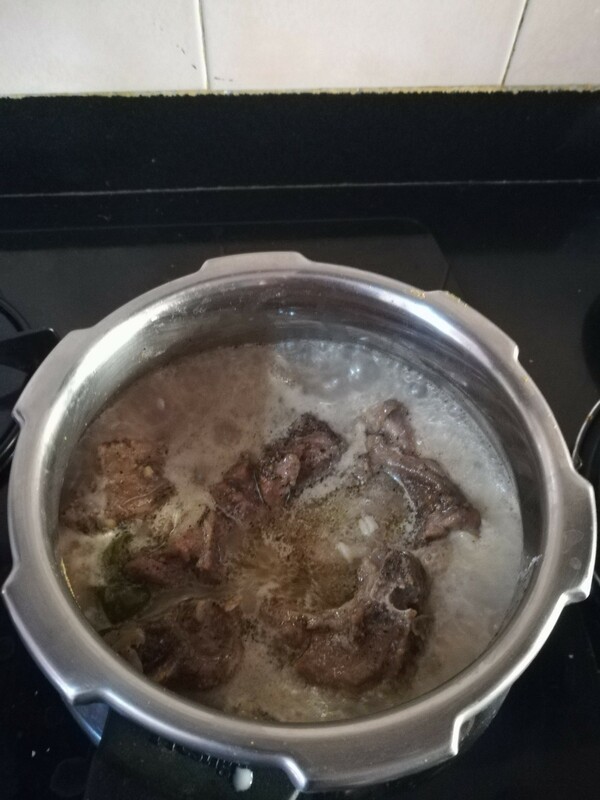 In the cooked mutton, add two tea spoon full of pepper powder (if you can get white pepper, great! Stew will look the best with it. ), a cup of thin coconut milk, cinnamon stick and cloves and let it boil. Once it is reduced, add the thick coconut milk. Do not boil the stew after adding the thick coconut milk, but let it heat for a bit. 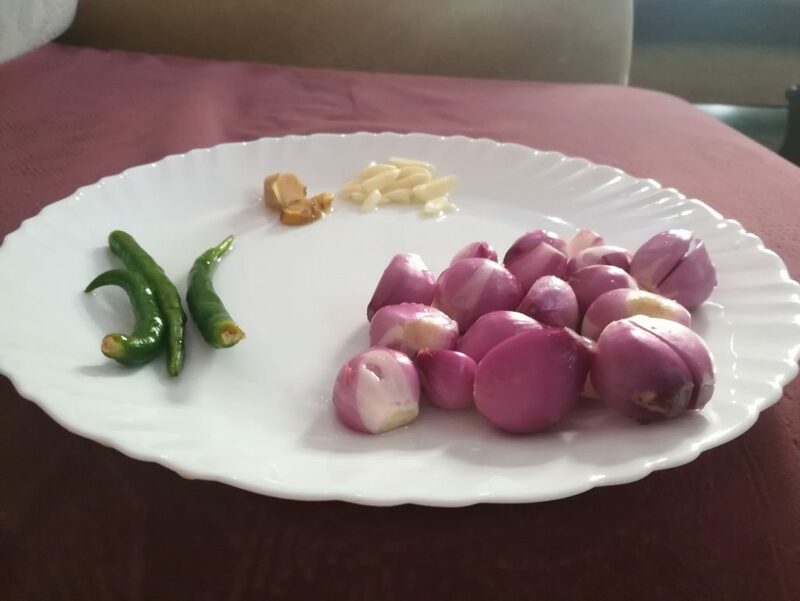 Once ready to take out of the stove, add curry leaves and coriander leaves.